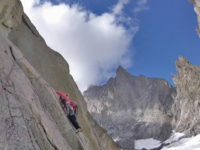 This is a short video on the opening of new route on the aiguille Croux in the Mont Blanc massif. Why Have There Been So Many Deaths On Mont Blanc This Season? 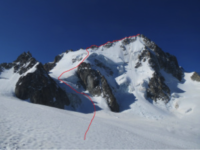 This summer alone has seen a number of major accidents in the Mont Blanc, Chamonix area and in the last week alone, a guide and his 5 clients were killed on the Aiguille d’Argentiere, followed by another guide and his 2 clients on the Aiguille Du Midi. The frozen body of trainee guide Patrice Hyvert who went missing in 1982, aged 23, has been found by two mountain-climbers. Climbing Mont Blanc (fast), the highest peak in the Alps. A man has described how he helped save two friends stranded 3,500m (11,500ft) up western Europe’s highest mountain after they sent him a text message.